Mike Pence was in Savannah on Saturday. The Georgia city hosted the South’s largest St. Patrick’s Day parade. 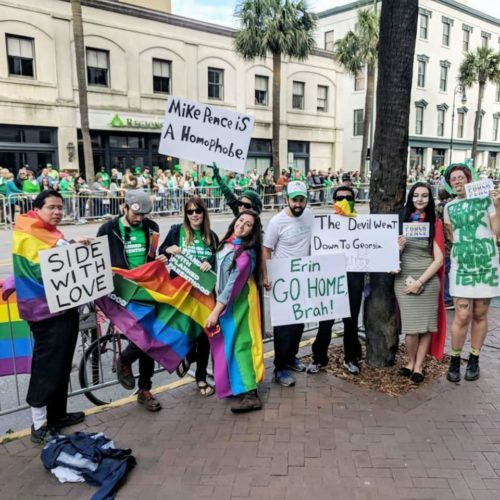 He was expecting to see a lot of green as he marched in the parade, but he also saw a lot of rainbows. Protestors holding signs that said “Mike Pence Is A Homophobe” and “Hate has no home here” waved rainbow flags. Some people protested for other causes, too. 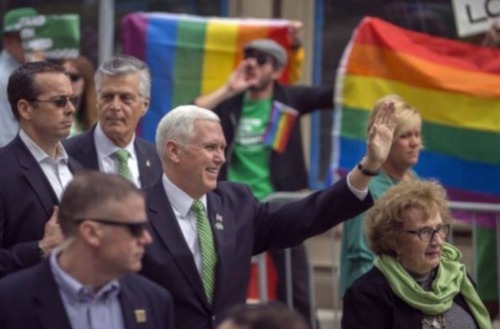 The “secure zone” set up by the Secret Service for Pence was also a sore subject for local businesses, which expect the parade day to be one of their more lucrative days each year. But many people were happy to see Pence.